This frame was personally signed by undrafted legend, Dino Ciccarelli. 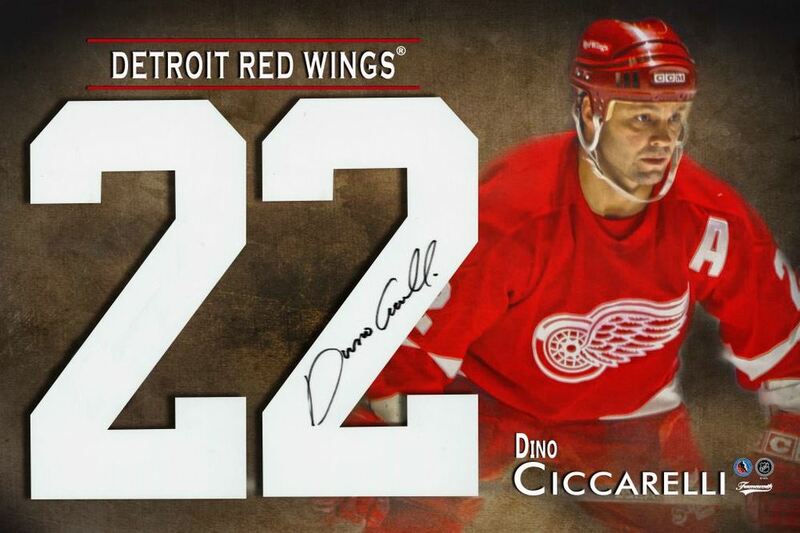 Dino neared a 1.0 Points per game ratio with 1200 career points in 1232 games. In Dino's first full NHL season, he put up 106 points in 76 games for the Minnesota North Stars, An incredible feat for an NHL rookie. Dino was inducted into the Hockey Hall of Fame in 2010, 8 years after becoming eligible. Dino holds the record for the fastest rookie to score 20 goals (15 games). The frame is accompanied with a Frameworth hologram and COA to ensure the authenticity of the autograph. Finished Size: 18x26.